University project: Assymetrical co-op game made in UE4, in which one player wears an Oculus Rift. Module designed to mimic industry conditions, involved groups of 5 programmers and 5 artists. Made in 12 weeks. 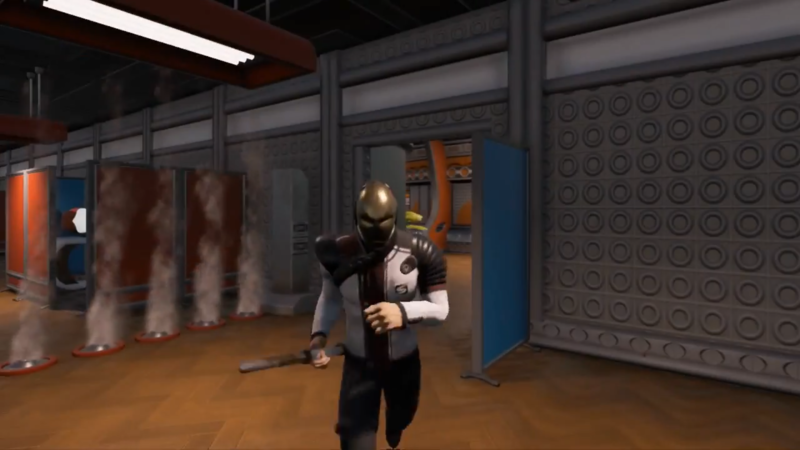 Game Description: The oculus player takes the role of a clone trying to escape a procedurally generated facility, stealthily avoiding guards, traversing traps and solving environmental puzzles by finding switches which open doors. The backseat player(s) act as a team of hackers who manipulate various systems within the facility to try and help the other player escape. 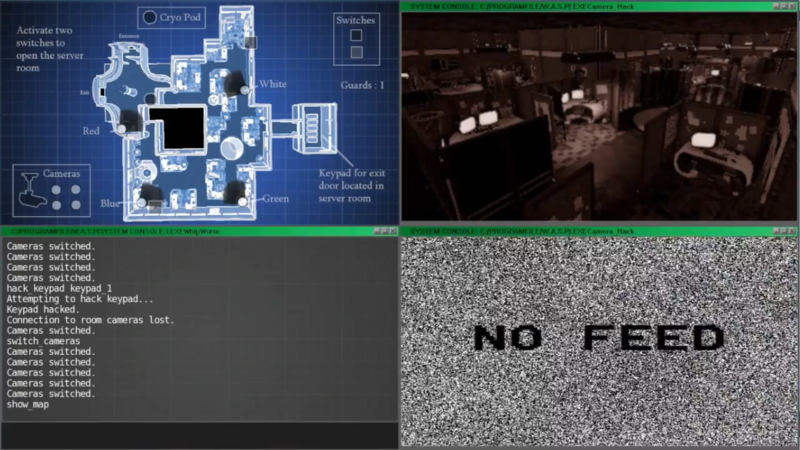 They must solve simple puzzles, enter commands into a console and keep an eye out for guards on security cameras. Screenshot from Oculus player's point of view. Screenshot from backseat player's point of view.